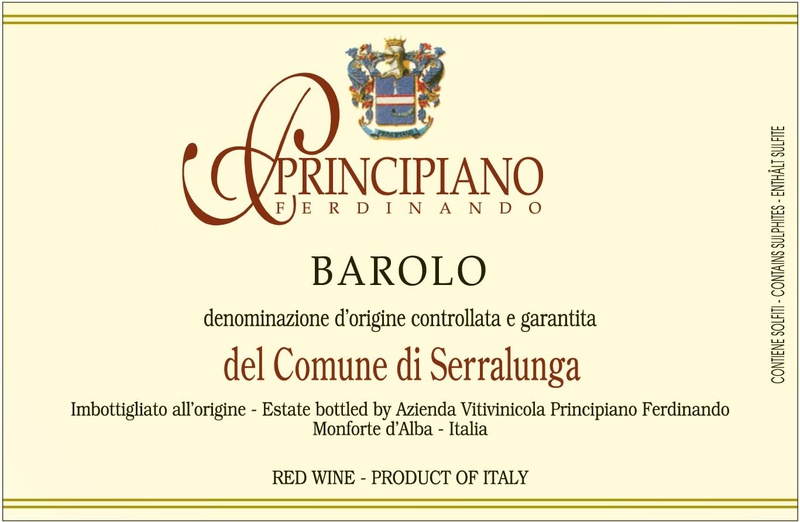 Principiano Ferdinando is a third generation family estate in the heart of the Langhe in Piemonte. With original vines planted by Ferdina ndo’s grandfather in 1934 (just after phyloxxera) on the hill of Monforte d’Alba; the winery and family home sat at the bottom of Serralunga, just across the drainage of the two adjoining hills. In 1946, the first planting of 6 hectares next to the home (just under the famous Giacomo Conterno) came to be, giving fruit for their top ‘Boscareto’ wine. Ferdinando’s father, Americo, developed and ran the estate until 1993 when his son took over for the family business. Once Ferdinando took the reigns, his concept began to transform the estate into what it is today. Looking at the incredible and perfectly pieced together puzzle of Barolo vineyards, very few stand out with natural flora and fauna, as the land is too valuable to take ‘risks’ from natural grape growing. The vines of Principiano are one of the few and extraordinary exceptions. Treatments are strictly kept to copper and sulfur only when necessary, amazing calcareous soils without layers of other rocks create for incredible drainage, and chosen crops to add or subtract are planted to aid the soil. The farming is meticulous, but pure to the earth, and the winery is the same. Natural yeast fermentations, minimal to no sulfur, large Slavonic oak, 15+ year old French Tonneau; and a sincere love for the purest expression of Nebbiolo, Barbera, and Dolcetto, is where this house rests its hat. Piedmont, in the north-western corner of the Italian Peninsula, is arguably Italy's finest wine region. Piedmont is often described as the 'Burgundy' of Italy, a reputation due to its many small-scale, family wineries and a focus on quality. What Burgundy does with Pinot Noir, Piedmont does with Nebbiolo. Nebbiolo grapes are behind four of Piedmont's DOCGs: Barolo and Barbaresco (two of Italy's finest reds), Roero and Gattinara. Barbera is Piedmont's workhorse grape, although it is responsible for a growing number of superlative wines. The third red grape of Piedmont is Dolcetto, used to make dry red wines. Although known as a red-wine region, there are three white wines which are known the world over. The first two Moscato d’Asti and Asti Spumante, both made from Moscato grapes. The third is Gavi made from the Cortese grape.